Six ordinary strangers awaken to find themselves in a seemingly endless maze of interlocking cubical chambers armed with lethal booby traps. Without food or water, they have only a few days to live. None of them knows how or why they've been imprisoned, but soon discover that each possesses a skill that could contribute to their escape. As they work together to extricate themselves from their claustrophobic cell, one thing becomes painfully clear - unless they learn to cooperate to solve the secrets of this deadly trap, none of them has very long to live. This year marks the 20th anniversary of the release of Cube. While other horror movies have dated in the intervening years, director Vincenzo Natali’s disturbing movie feels as fresh as the day it hit cinemas. “I knew that my first film was going to have a very low budget and therefore it was probably going to have to take place on one set,” Natali explains, in an interview with Slash Film. “But I also knew that I was not the kind of filmmaker who would do something like My Dinner with Andre. 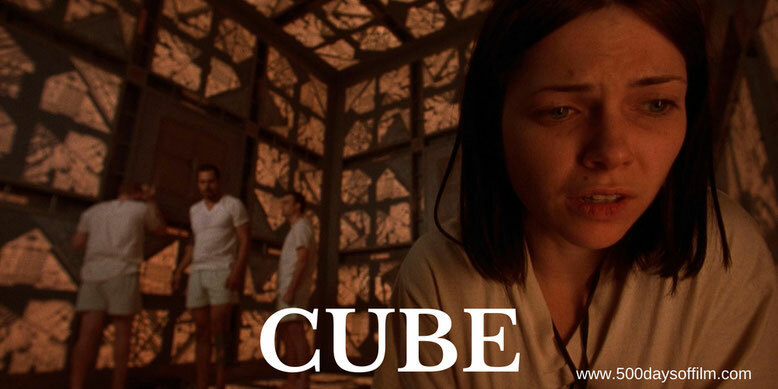 Much of Cube’s enduring success lies in its very opening scene. The film opens with a close up of an eye. This immediately sets us on edge - a feeling that only builds as we realise that a man is trapped in a series of box-like rooms. Like a rat in a trap, he begins to search for a way to escape. What happens next is shocking and extremely gruesome. However, it is also brilliantly effective - alerting us to Cube’s high stakes and very real dangers. The scene thus set, we meet our core group of characters. Each possess different qualities - some more useful than others. While some scenes feel rather overdone, the ensemble cast certainly give the story their all. They have to learn how to work together (both physically and mentally) in order to navigate the mathematical puzzle that is the cube… a process that becomes increasingly tense and dangerous. The group go through a fascinating emotional journey - one that begins with the inevitable “why us” and moves onto a discussion of who is behind the cube itself (Aliens? The government? Us, the audience?). Thankfully, Natali avoids all (inevitably) disappointing exposition. However, when no answers are forthcoming, paranoia ensues and the real battle begins - a fight that may well be to the death. The characters are all named after prisons. If you have, what do you think about this film? Let me know by leaving me a comment in the section below. Alternatively, get in touch via Twitter. You can find me @500DaysOfFilm. One of my all-time favourite films. I first watched it at the cinema and was blown away. Since then I've re-watched it many times over. I think I need to see it again this year to celebrate the 20th anniversary.